Aloha! 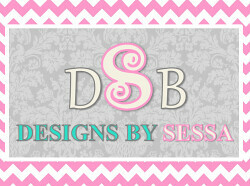 I'm Vanessa and I blog at Designs By Sessa. 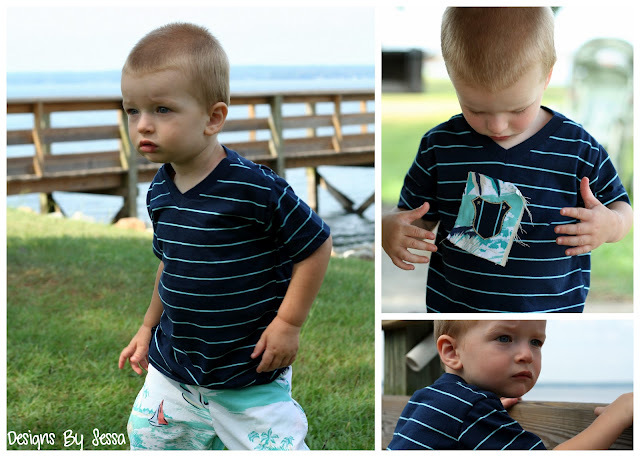 I'm sort of a "new-ish" craft blogger that loves to sew cool boy clothes for my son, Cai, who's growing up so fast before my very eyes! Thank you SO much, Melissa and Stacey, for having me Sew in Tune! 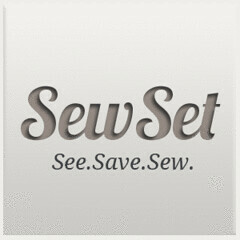 This Sew in Tune guest post was inspired by the Hawaii Five O show's theme song, which was re-made just recently on air. Go ahead and play the song, so you can get the whole experience of this post. It will make you smile!!! I actually live on the East Coast in South Carolina, but I have been to Hawaii when I was pregnant with this little guy and loved it, of course! Since I made the whole outfit basically from scratch, I'm going to share the v-neck tee here, since it's Melissa's pattern, and my awesome shorts on DBS. 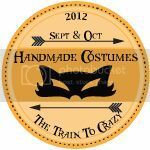 Please be sure to check it out and come say ALOHA! Both clothing pieces were made from XL Men's shirts. I heart upcycling. 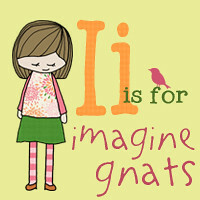 The tee is from Old Navy. Originally I picked it up for my husband ($6), but he wasn't too crazy about the vneck, so instead of returning it, I shrunk it down to toddler size. The shorts came from another Old Navy buttondown Hawaiian shirt from my husband's closet (free). 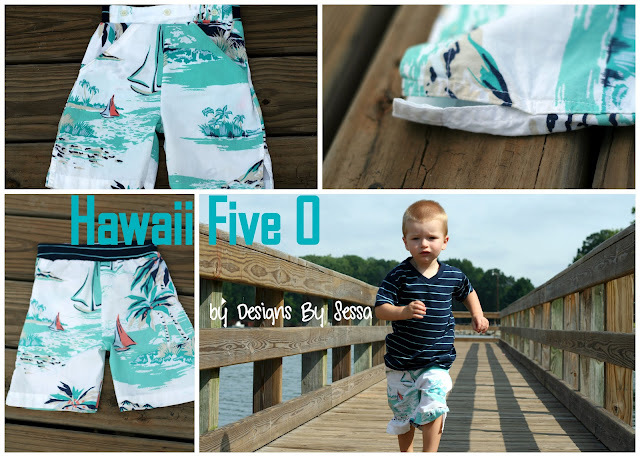 They make much cuter shorts, for sure, and the last time he wore this shirt was in Hawaii, so it was snagged! And while I'm talking about my husband, might I mention that he's an amazing musician... he can play 16 different instruments, at least, and he's currently learning to play the bag pipes. So music is in our family big time! Hart playing the Madolin sitting behind his Hammered Dulcimer at our church. When I realized that Melissa was releasing her ebook and it was full of blank basics just for BOYS, I commented saying how I needed that v-neck pattern for my guest post stat, kind of half joking, but kind of not, too! 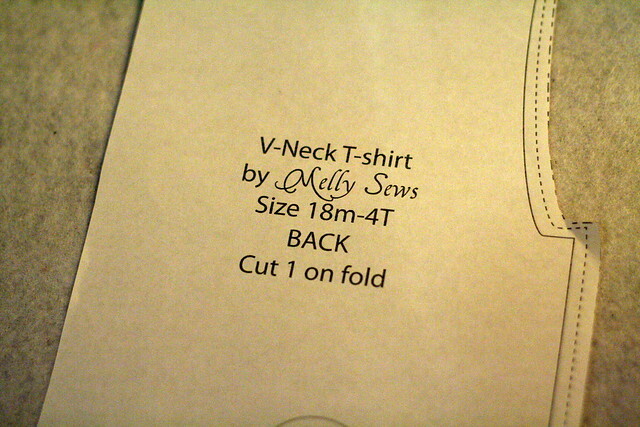 I was going to wing it, but sometimes that doesn't always work out, so I was SO thankful when she sent me her v-neck pattern still in draft form. I can tell you that it's amazing, and that you should all buy the whole thing, and I didn't even have the directions telling you how to put it together! 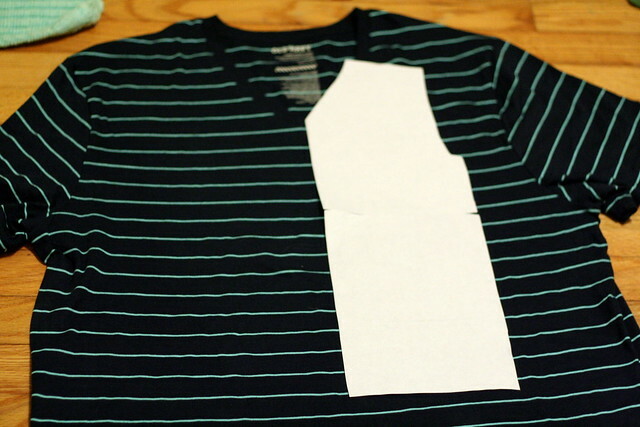 I'm going to show you how to use the Blank Slate Basics Vintage V-Neck Pattern to shrink a men's v-neck to a boy's v-neck! Since this is knit, make sure your stitch length is at 4.0 - 5.0, and use a stretch stitch like the Triple Stretch Stitch on your machine. I use no walking foot, just that stitch and a long length and when hemming I do usually use tear-easy stabilizer (or you could use tissue paper) underneath to keep it from going wonky, but not for normal seams like this. Let's go! 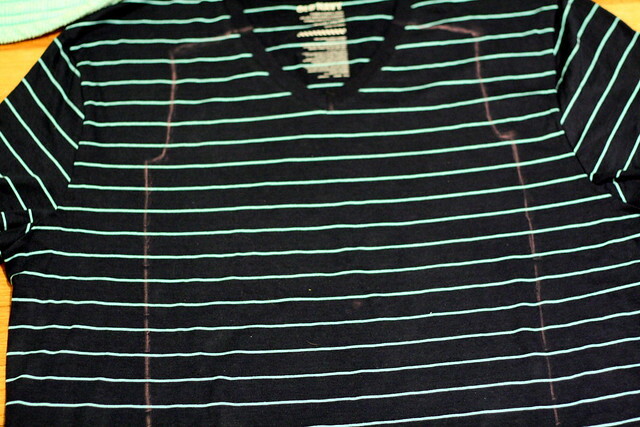 2) Cut just the top front layer of the shirt (not the back) out. 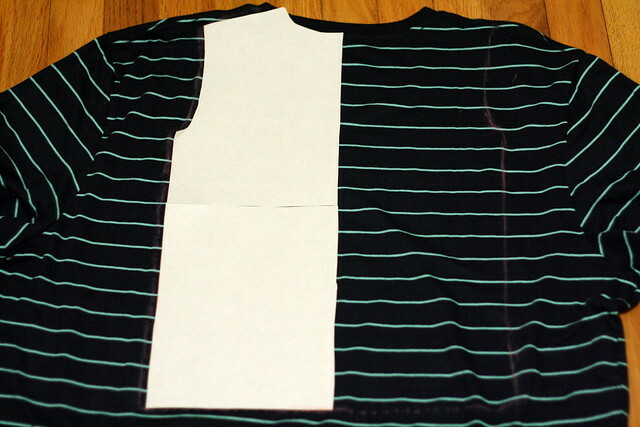 3) Repeat with the back pattern piece lining it up as far to the top of the shoulder seams that you can, centered on your shirt. I did not actually use the original shoulder seams as that is too bulky. 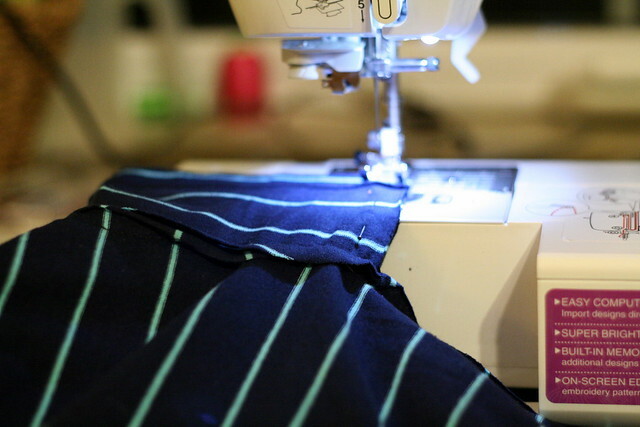 4) Use the hem of your men's shirt when cutting your new sleeves. I put both of the sleeves on top of one another and just cut this one pattern piece out once. Scoot it down just a tad, since it's already hemmed up. 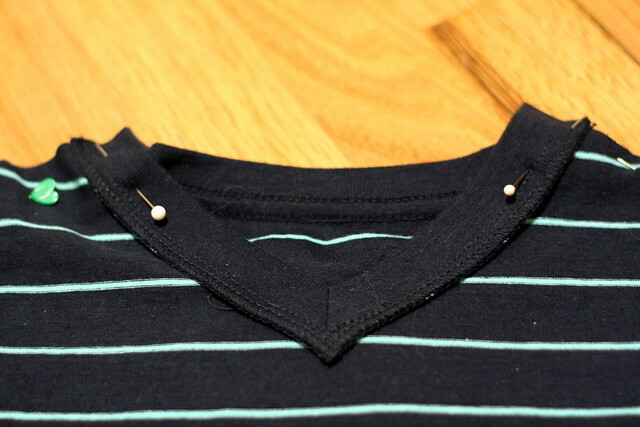 5) Pin your front and back of your new shirt right sides together across the shoulder seams. 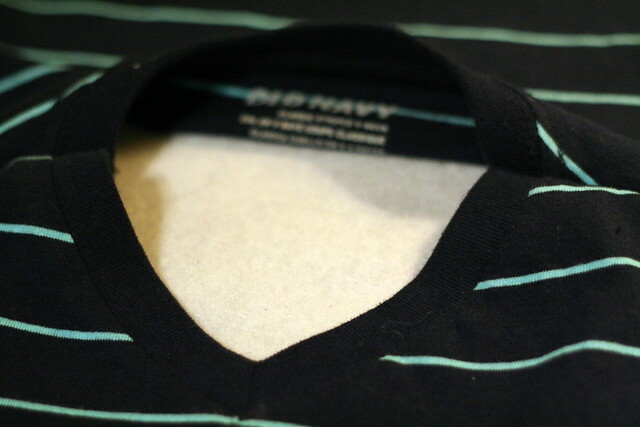 6) Sew your shoulder seams. Now, unfortunately when downsizing a shirt like this, your seams will go all the way over across the ribbing. If that bothers you, then you probably should just cut out the entire neck ribbing and start that area from scratch. I do not even care one bit, and you don't even notice when Cai has it on, so really it does not matter, but I'm a go with the flow sort of person anyways! 7)Pin your sleeves to your shirt. 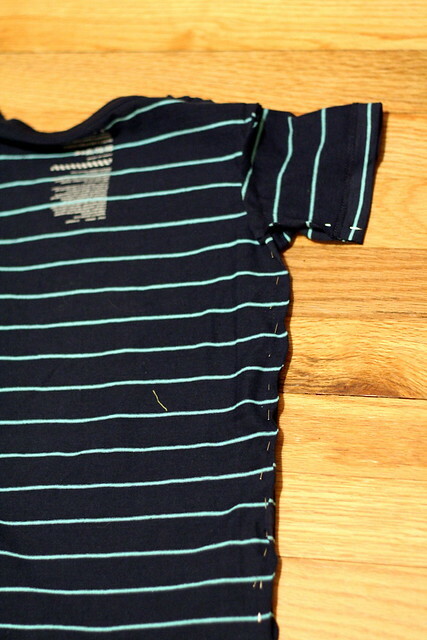 8) Sew your shoulder seams. 9) Turn inside out and put right sides together and pin up your side seams and your sleeve seams. 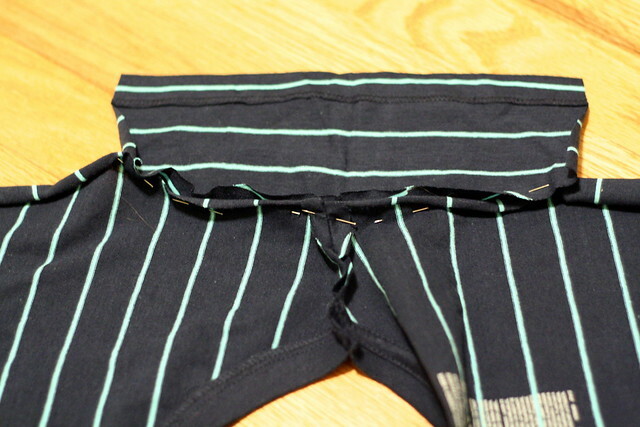 10) Sew up your side seams. 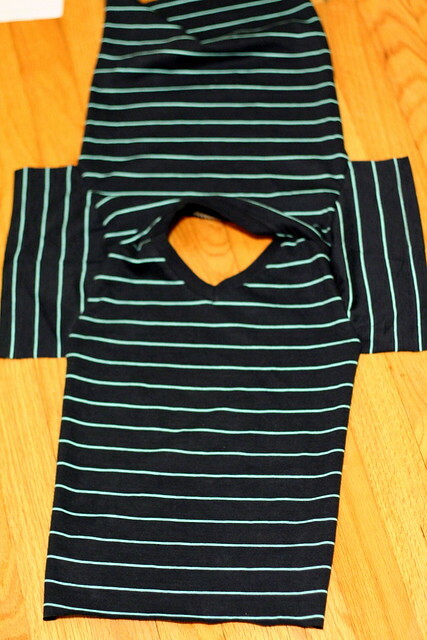 Start at your sleeve hem and sew down under the arm pit and down the side. This will make sure that any possibility that your fabric is not lined up, you can cut off at the bottom before you hem, or not, if you are like me and decided you didn't need to hem the bottom. The last step would be to hem the bottom of your shirt. I personally did not hem the bottom. 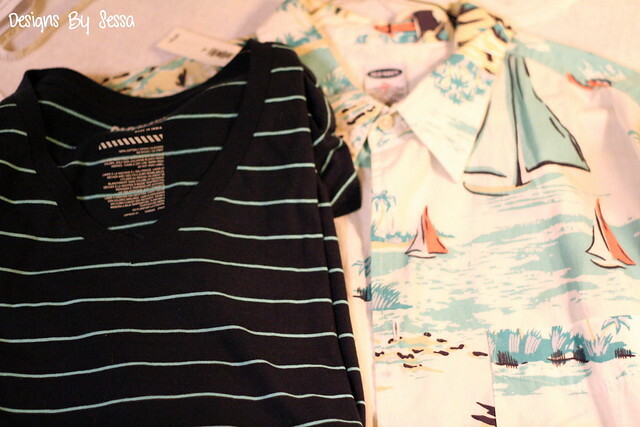 I like the informal "more hawaiian" look of a slightly rolled up look with the jersey shirt. And you should all know by now that jersey doesn't fray, so enjoy this amazing fabric, as is! Next, we were off looking for our bad guys... I made a little police badge with a random machine applique pattern that came with my sewing/embroidery machine. He thought it was a sticker, lol. 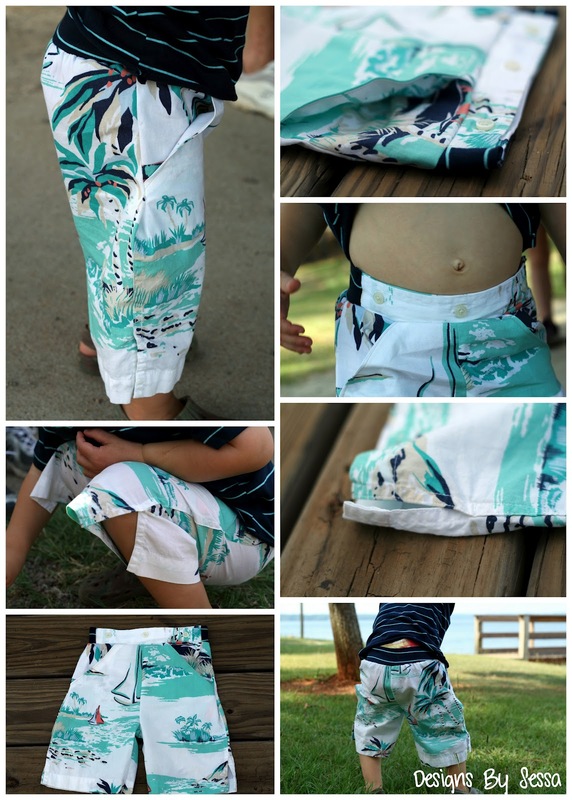 Now, as adorable as the V-neck tee is, I had the most fun with making up these shorts. I really wanted to get creative with my men's button down. My goal with these shorts was to try to do something with a men's button down that I have not seen before. We all try to re-invent the wheel some way or another, so maybe it's been done like this, but I have not personally seen this for a boy, and I seriously love how these came out! Kind of preppy, but still really hip, at the same time! 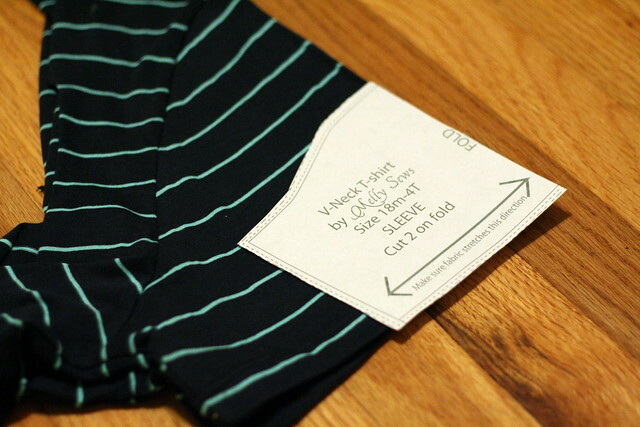 Overall, these are my baggies pattern with a different waist band. For the waist band, I used the button down placket, turned it horizontally and created a new look with 3 buttons along the top front. And the same shirt jersey for the back to make it stretchy to get it on and off a diaper booty. And the last feature of these shorts was that I maintained the bottom hem of the shirt to make sure I got the open style of the side seams. 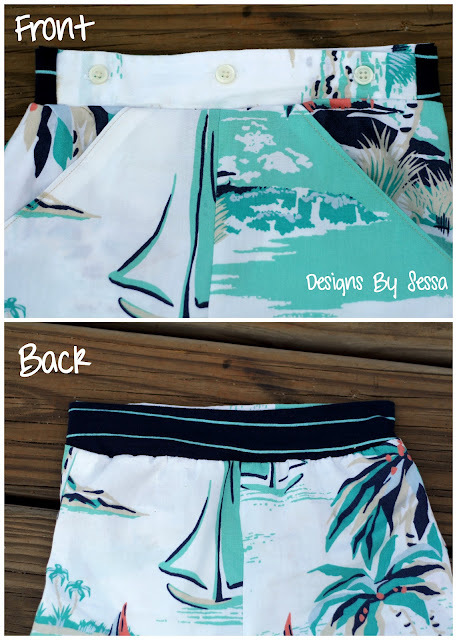 I will show you how I modified my baggies pattern to involve the new button waistband and keep this side seam feature over at Designs By Sessa! Please come say hi! I'd love to "meet" you! Aloha, baby! Thanks for having us!